February half term has to be the school holiday I like the least, it is the weather that lets it down. It is either bitterly cold or raining or in the case of this one, both, with freezing winds thrown in too. With Daddy at work with the car, getting out and about means going out on foot and my suggestions at going out into the cold are often met with looks of horror and groans of 'Noooooo' as I am thoroughly outnumbered by three reluctant children. 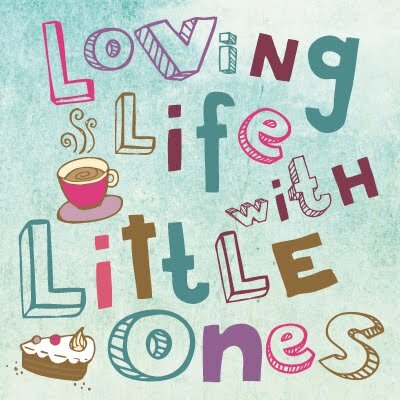 We have been out this half term, trips to the park and scooter rides as well as puddle jumping when the weather let up, a cafe lunch, play dates and pottery painting too but we have still spent a lot of time at home indoors. So how did we avoid the 'I'm bored' this holiday? We have been doing a lot of crafting and making things, thanks to all the lovely things the Little Ones had for Christmas there has been plenty to do. Foam flowers for Granny's birthday, baking, mosaic art and playdoh, lots and lots of playdoh! 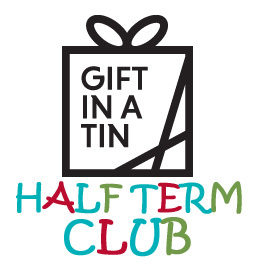 We also received a 'gift in a tin' for each of the Little Ones from Apples to Pears who recently won an award for their wooden dinosaur construction kits (Little 1 reviewed one of these on instagram a while back) and they kept us busy for a while. Little 2 received an 'Olly the Owl' crafty creatures tin, such a good idea for a just 6 year old. It came complete with instructions, a pre-made owl outer, stuffing and a needle and thread to sew him up. She enjoyed breaking up the stuffing and filling his body with care. Then she had a go at stitching up the hole in the back with a little guidance from me. It took her around ten minutes to complete her owl which was about right for her, she was ever so pleased with herself once she had finished. Little 2 decided that Olly should be renamed Lilly and that she needed a bed for the night, after searching for a pillow for her and a tissue to use as a blanket, Lilly was welcomed into her bedroom and has settled in well. Little 1 received a dinosaur excavation kit, containing two clay blocks each with a model skeleton inside, a t-rex and a triceratops some tools (a mini chisel and a brush) and goggles. She loved the idea of digging out the bones and got set to work, at first she worked carefully and very gingerly until she realised that she could tap a bit harder. The pieces were easy to find and the process kept the girls quiet for an hour or so, they both got excited when they pulled out a piece of 'bone' and tried to decide which part of the dinosaur it came from. A quick clean up in a bowl of water and the pieces were left to dry for a few minutes before they were easily assembled by clipping the bits together. Two new dinosaur models to add to her collection and a quiet hour of messy exploration for my girls too. Little 3 also received a dinosaur related tin, dinky dinos, his was one of the tiny tins that gift in a tin make, just 4 inches by 3 inches, it looks really cute and is a perfect size for taking out and about. Inside his tin were 12 small plastic dinosaur figures and a paper play map. Little 3 quite enjoyed lining up his dinos and chasing the girls with them pretending to eat them all up as an almost three year old does! They are really quite handy, we took them in the change bag with us when out and about over half term and they kept him occupied in a cafe and at granny's house where we told him the names of each dinosaur and what they ate. Once finished with them (or when he started to throw them about!) they went neatly back into the tin for next time. Apples to Pears have quite a selection of 'gift in a tin' products to suit all ages and interests, not only do they make great half term boredom busters but they make great gifts too. N.B We were gifted these products mentioned but we did have fun with them, honest.